Tick Tock: A Tale for Two is a two-player adventure game inspired by escape rooms where players cooperate and become storytellers. Play together on two separate screens and read out loud to each other in order to solve puzzles. 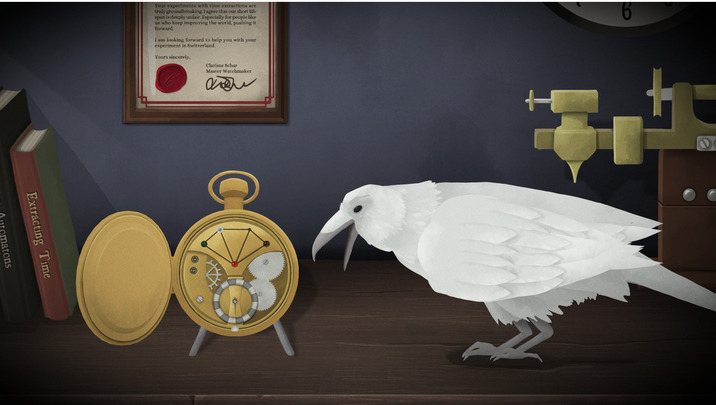 In Tick Tock: A Tale for Two you and your friend find yourself trapped in an eerie world created by the skilful clockmaker Amalie Ravn. Your mission is to escape! But to do so you need to navigate a mysterious, sinister clockwork world filled with secrets and cryptic puzzles.